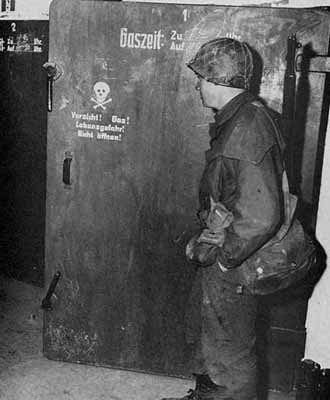 The second World War was known for it’s experiments in chemical warfare and ruthless torture techniques. The Nazis were well known for their relentless human experimentation methods on prisoners including disabled Germans, Romani, Sinti. ethnic Poles, Soviet POWs and mostly Jewish people captured all across Europe. At Auschwitz and other camps, under the direction of Eduard Wirths, selected inmates were subjected to various hazardous experiments that were designed to help German military personnel in combat situations, develop new weapons, aid in the recovery of military personnel who had been injured, and to advance the Nazi racial ideology. Aribert Heim conducted similar medical experiments at Mauthausen. Carl Værnet is known to have conducted experiments on homosexual prisoners in attempts to “cure” homosexuality. The Medical Human Subject research involved analysis of biological specimens, epidemiological, behavioural studies and medical chart review studies leading to experiments to produce an army of super soldiers. 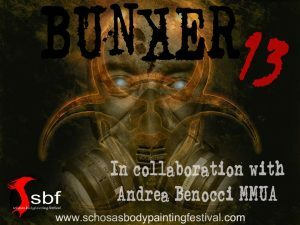 Relive the horror with Bunker 13 at Schosas Bodypainting Festival on Friday 11th November. This project is set up by Daniel Formosa and Andrea Benocci from Italy.